In MBC’s 50 anniversary commemorative drama series “Lights and Shadows“, Ahn Jae Wook and Son Dam Bi stage a romantic kiss. After the stills of kiss scene between Ahn Jae Wook and Son Dam Bi were made public, they immediately led to the curiosity towards the development of the relationship between the twos. The photos are from the scene of “Lights and Shadows” episode 43 broadcasting on April 23rd, 2012. 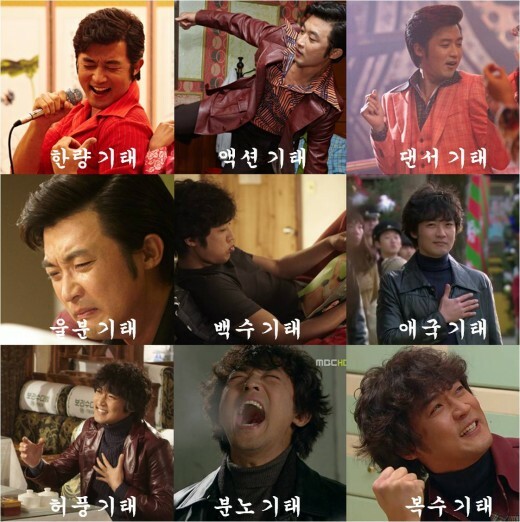 The scene is about Yoo Chae Young (Son Dam Bi) who is drinking and plays piano alone feels lonely for unable to get the love, takes initiative to jump on and kiss Kang Ki Tae (Ahn Jae Wook) with the excuse of drunk, and Kang Ki Tae who is sad because of Lee Jung Hye (Nam Sang Mi) does not want to resist Chae Young because of her help for him, as such could only stands like a wood to accept her kiss. Viewers has been concerned on whether Kang Ki Tae will accept the love of Yoo Chae Young, and the final outcome of complicated love battle between Ki Tae, Soo Hyuk (Lee Pil Mo), Chae Young and Jung Hye. Netizens commented on the photos, “The charm of witch Yoo Chae Young is irresistible”, “Plot that is getting more and more interesting is making audience nervous” and so on.